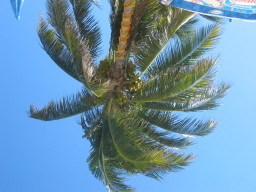 When I am lying on my back on the sand and look up, the palm trees are upside down. 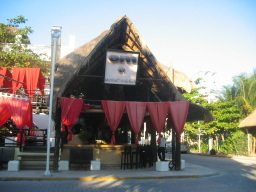 There is a bar called OM (the Sanskrit is correct) - which I thought was very funny, as Hindus and Buddhists don't really drink. 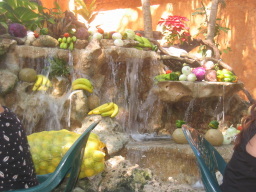 Inside the "100% Natural" restaurant (it's a chain in Mexico, actually), they have a waterfall cascading over fruits and vegetables. 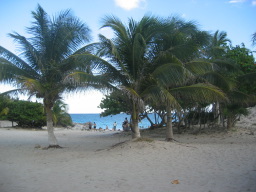 These are not ornamental. 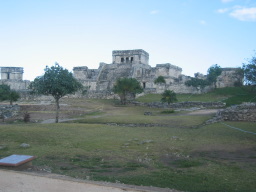 From time to time, one of the staff plucks some fruit to be used in a smoothie. 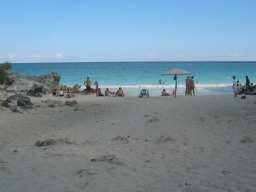 A first glimpse of the incomparable beach at Tulum. 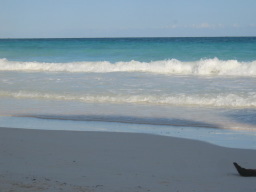 I think this was off to one side. 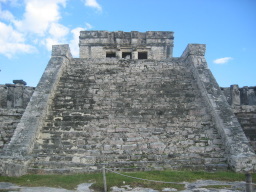 The steep steps of the main temple. 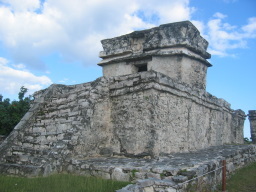 More perspective on the main temple. 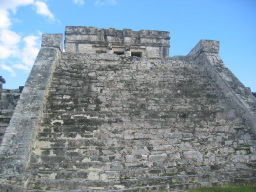 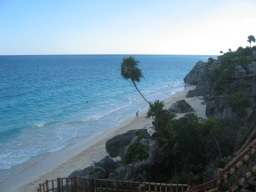 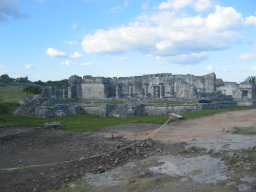 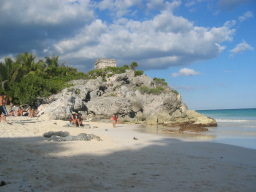 The Tulum complex is perched right along the shore. 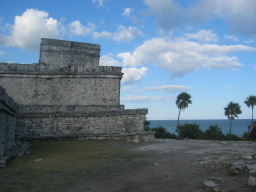 The view down to the ocean from just in back of the main temple. 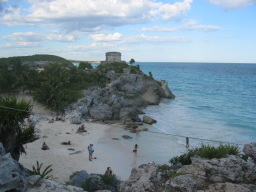 People swim in the little cove, under the watchful eye of some part of the ruins. 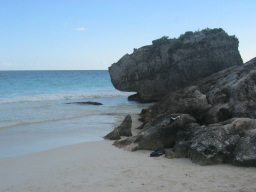 It was a great place to hang for a while. 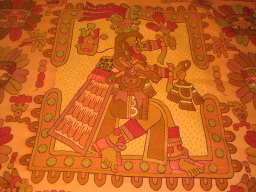 I bought this "Mayan" blanket from a stall near Tulum. 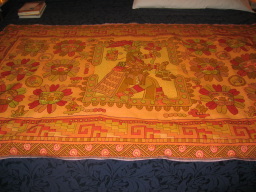 I liked the colors and the patterns. 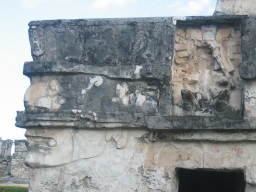 A closeup of the guy. 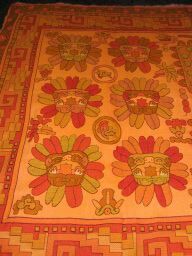 And a closeup of the border pattern.